DO you know an Army mum who has done some incredible charity work? Are you an Army wife who is caring for an injured soldier? Perhaps you know an Army girlfriend who has shown true bravery in the face of distress? If you are an Army family with a plucky heroine at its core then Good Housekeeping magazine wants to hear your heart-warming story this June! Last year, the magazine received some wonderful letters from readers who were moved and inspired by the military heroines interviewed for their Christmas feature, “Help for Heroines”. 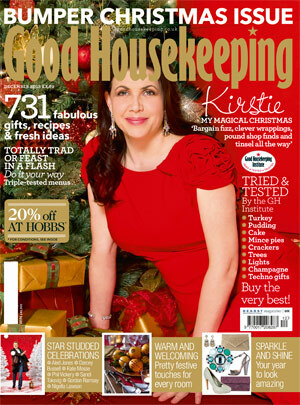 The team at Good Housekeeping would now like to thank more inspiring women, Army spouses and mums who are supporting the Armed Forces by inviting them to star in their Christmas 2014 issue. The magazine is looking for a range of inspiring stories about how our military heroines will be spending Christmas this year, be it at home with the family during the festive season or coping with being apart from a soldier on deployment. Telephone interviews will take place in July; in August the chosen heroines will be whisked away for a luxury break and photo shoot, and treated to a special visit fit for these extraordinary ladies. The deadline for entries is Monday 30 June at the latest, don’t miss out! Contact Moya Sarner at moya.sarner@goodhousekeeping.co.uk, or on 020 7439 5684.